These cute soft keychains (mascots) from Japan are approx. 8.5-9 cm tall. 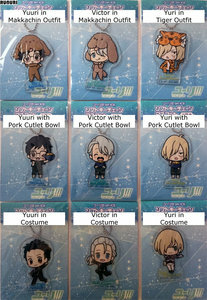 Notice: The price is for 1 soft keychain mascot. Notice: The color of these soft keychain mascots on the picture can slightly differ with the real ones because of camera (lighting effects).